Select the group from the group list by clicking on its name. Click Properties from the toolbar or choose File → Properties from the drop-down menu. 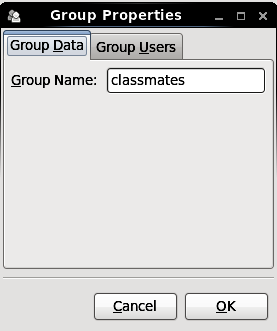 The Group Users tab displays the list of group members. Use this tab to add or remove users from the group. Click OK to save your changes.